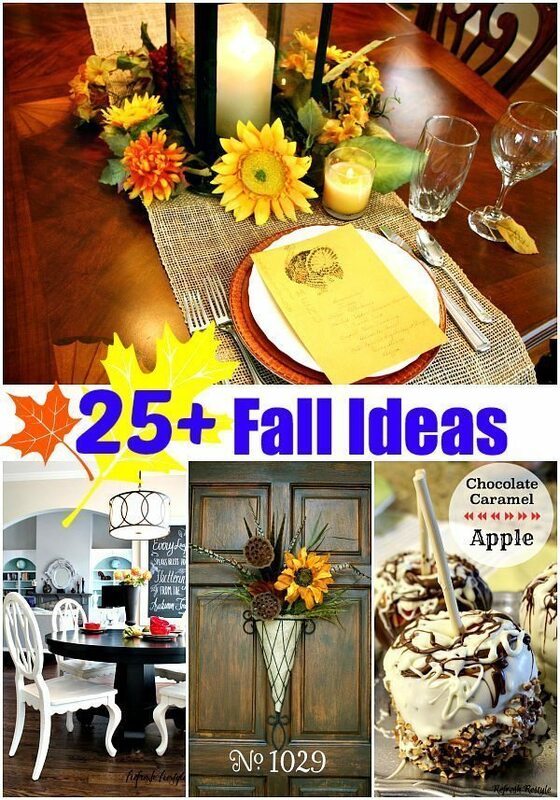 Have you started decorating for fall?? 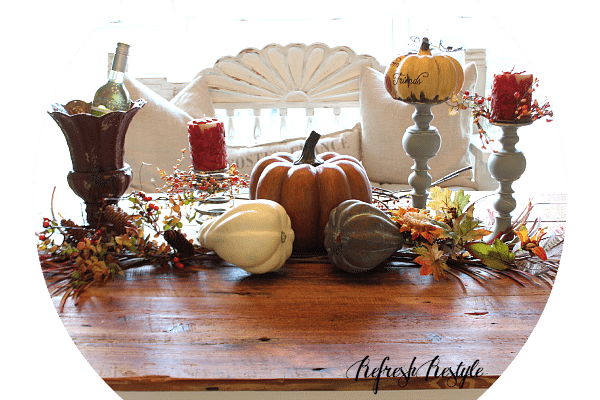 Today I’m sharing an idea for creating a colorful tablescape using a few new items and things that I already had. 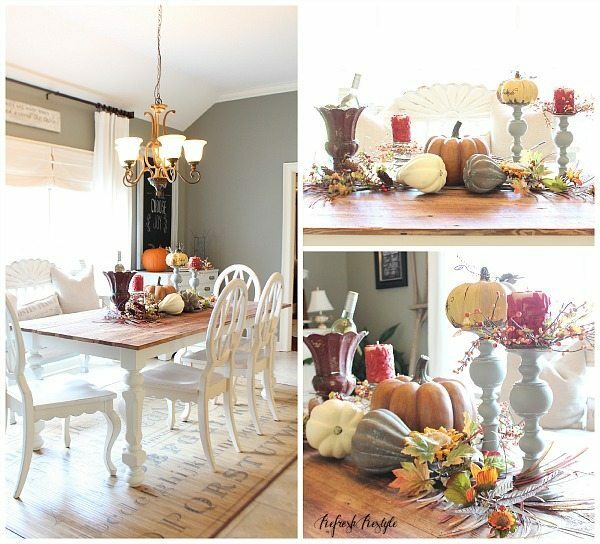 Start with a clear table, start layering. 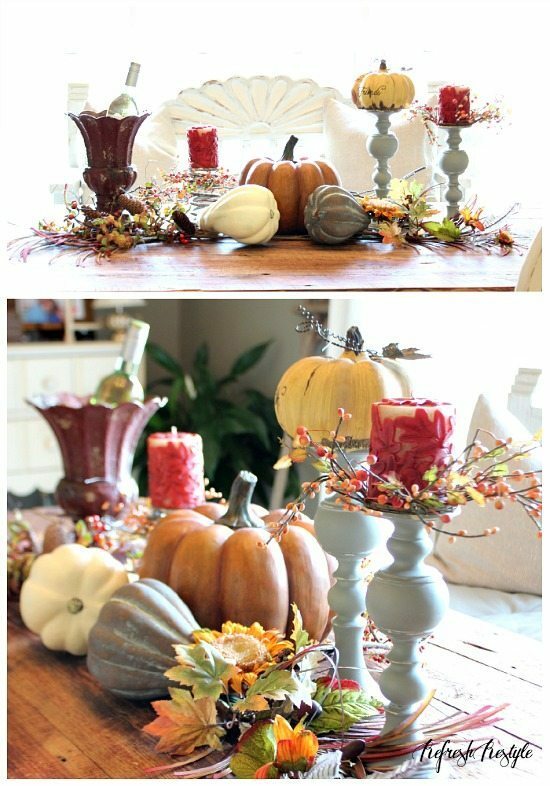 Place the large pumpkin in the middle, use the 2 long pumpkins to cover the stems of the florals. Place the Metal Urn on one end and the pair of Grey candle holders on the other, to create some height on both ends. 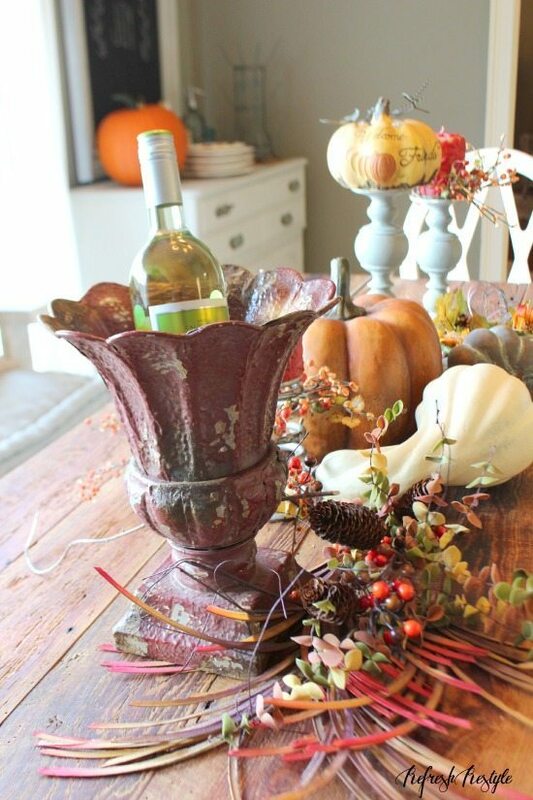 You can use the metal urn to hold a plant, floral or wine as I’m doing on my table. I love a piece that has multiple personalities! 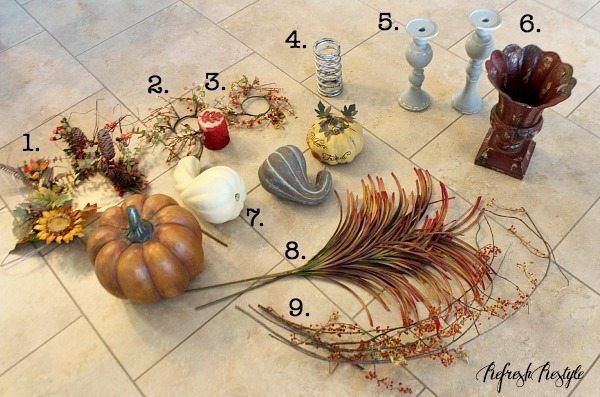 Think of all the possibilities when selecting items for decorating. 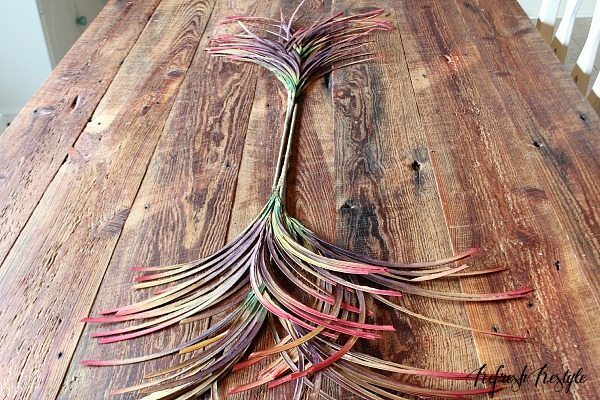 Make your decor work overtime. The Metal Urn could hold fresh flowers, fruit, small pumpkins or a bottle of bubbly. I place one candle on the spring, with the candle ring and the other candle is on the grey candle holder. 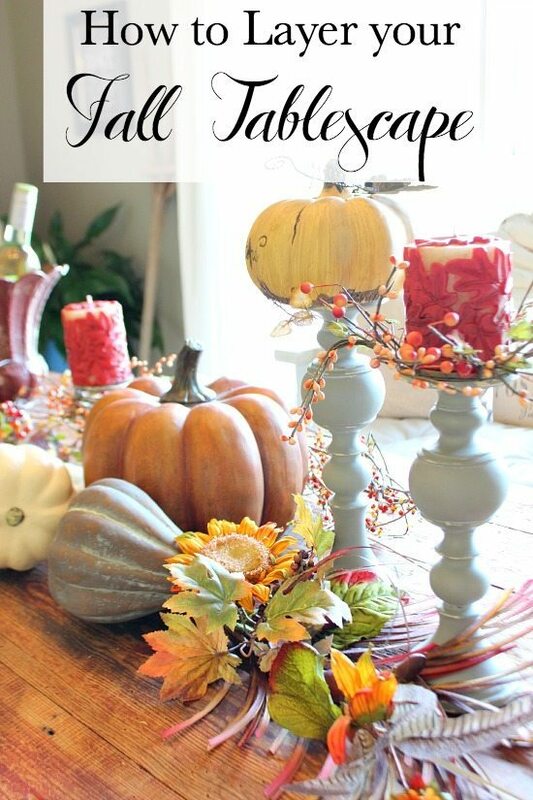 One of the Grey Candle Holders is holding a faux pumpkin. 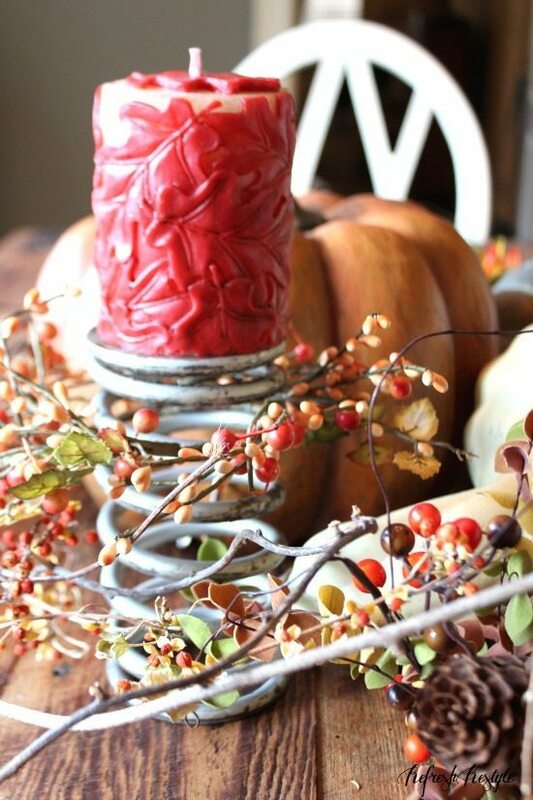 Mix it up, candleholders are not just for candles! 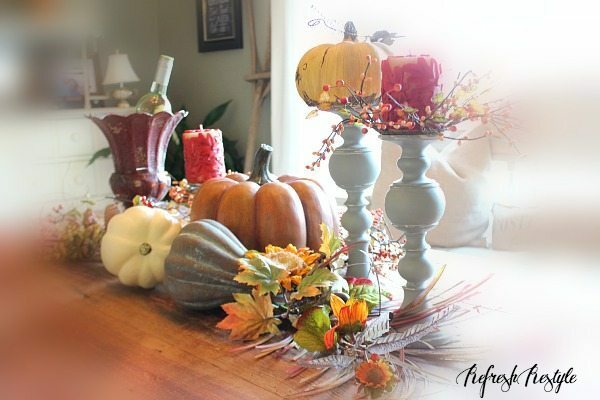 My dining table is dressed an ready for all. Beautifully done and very easy to follow. This simple outline is just what I needed. Gorgeous, Debbie! I love everything you do! Hope you guys are enjoying some great fall weather today! 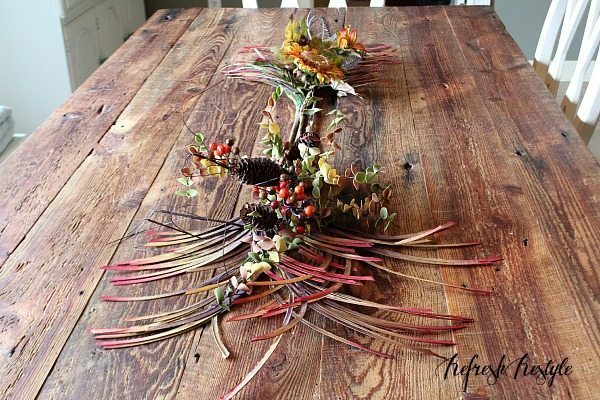 What a GORGEOUS table setting! And the pieces you were sent are the perfect additions! It’s been so fun to see what everyone’s come up with! Thanks for the stunning tour! HOLY WOW! That table is spectacular, Debbie! I love the way you’ve layered everything! Looks great. I cannot wait for full blown fall here in the South. It’s coming soon! I can feel it today. 🙂 Hope your move has gone well. I’ve been thinking about you! 🙂 So excited to be joining you in this fun challenge today. You are too kind!! Thank you! Beautiful, Debbie. You have the magic touch! Have a wonderful day.